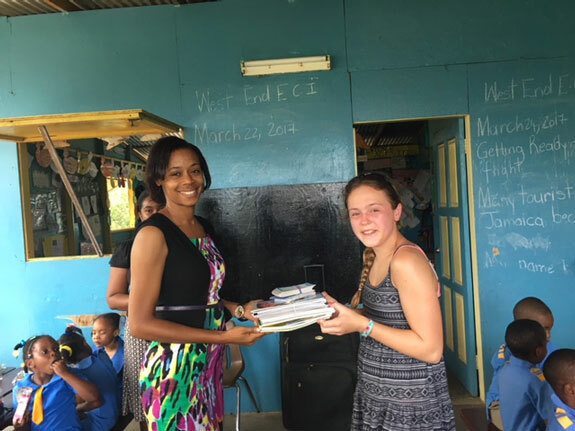 After visiting a low-income school in Jamaica, I became inspired to collect supplies and gently used books for schools in the Caribbean. During my visit this past January, I delivered my 4000th book for distribution, as well as my 500th pound of school supplies. During a visit last year, I distributed small goodie bags to the children at the local early childhood school affiliated with Sandals Foundation. I was also able to visit a computer lab that was created due to funds I had received from a service award. Each time that I go on a trip to a location, I bring supplies for distribution. Thanks to Pack for a Purpose, I can find other locations that are in need of supplies. I also try to spread the word to other travelers to look at the site to find out items that are needed.